Has FIFA leaked Ballon d’Or winners? All football fans are wondering if FIFA accidently leaked the names of Ballon d’Or on their website on Wednesday. 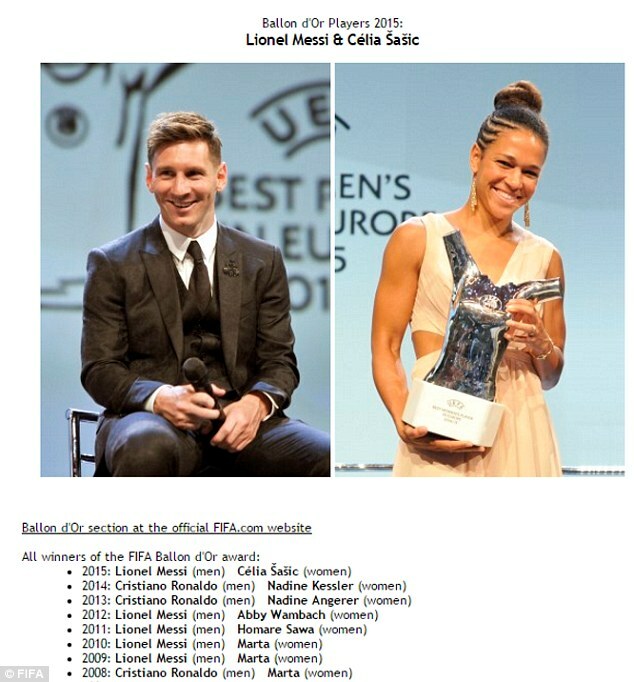 Football’s world governing body momentarily placed Lionel Messi and Celia Sasic at the summit of their list of winners on their website, alongside the year 2015. Their names were swiftly removed.